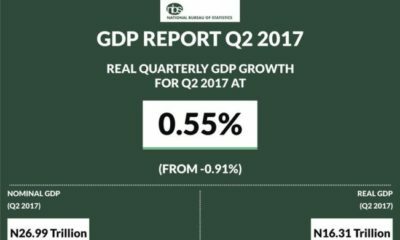 The presidency on Thursday said it had approved an external borrowing plan following the economic recession. 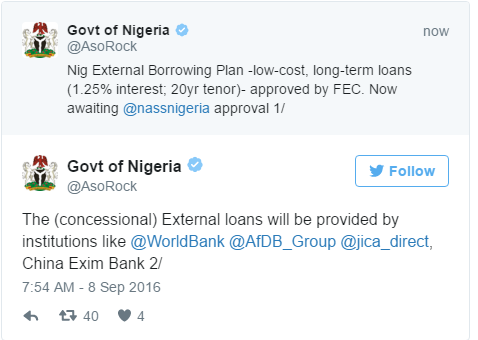 “Nigeria External Borrowing Plan -low-cost, long-term loans (1.25% interest; 20yr tenor)- approved by FEC. Now awaiting approval of National Assembly. The (concessional) External loans will be provided by institutions like World Bank, African Development Bank, China Exim Bank, and Japan International Cooperation Agency. Apart from these loans, there will also be a FGN Eurobond offer (details in due course). The External borrowing will be directed at the following sectors: Agriculture, Power (esp. Transmission) Mining Development, and Healthcare,” it announced. Yes, this is the easiest way for a very old and intellectually weak president. No economic plan has been finalised let alone implement. Even the need for Massive investment in agriculture, no way. They are always in a haste to approve things that would benefit them directly only, while they continue to travel and enjoy with their family and friends. See the level of economic crunch of an average Nigerian then you can imagine how it is for the poor. This president and his ministers are a bunch of disappointment to this country. What are you borrowing money for? There is no coherent econ development plan!! Or is this one of those let me borrow the money first then i will figure out what type of house to build ventures? Dear BN, pls this huawei AD keeps obstructing any article that is posted. Can you pls look for a space suitable for this AD. It is quite frustrating!!! This people have so lost it. I have said it before Buhari should change his economic team and employ the services of some technocrats. “Will” ? Still stuck in campaign (propaganda?) mode. I’m curious, when people question for an “economic plan” are they expecting a large red box labelled ECONOMIC PLAN???? Or is it the borrowing they’re against?? From my understanding, the CBN releases their monetary plans post their MPC meetings and the FG has said they plan to increase fiscal spending, particularly on infrastructure, “block the leakages” and increase our ease of doing business. From my understanding, these encapsulate an economic plan. But hey what do I know. On the Ease of Doing Business front, per the Aso Rock account, they’ve appointed Mr Seyi Bickerseth (who despite his foreign sounding surname must be Nigerian, went to UI for his first degree) to head a council on enabling business environment. On the borrowing front, almost all governments (Singapore is an exception I think) base their economic planning on credit, so no worries and if they don’t misappropriate it (CHANGE) the economy will improve. This is a good thing. The Aso Rock handle isn’t a bad follow. S/N Everybody else might miss their old avatars, I don’t. Love my new more patriotic one. Seyi is Nigerian. He is the current national senior partner of Kpmg. Why not? They are borrowing against our future and the futures of our descendants. We reserve the right to ask for enlightenment. By the way we have figured after months of ineptitude that they don’t know any better than us so we are not as trusting. We want to see an economic plan. We the people demand that our employees (aka buhari and team) brief us immedia-osiso. But they have been enlightening. Scroll through their official twitter handles for example, filter for bias of course but the information is out there. @Ellesari E, how old are you again? 22/23yrs old. Somebody is still feeding you. So, you ARE NOT UNDERSTANDING! Damn your ballpark figures amazing, subarashi????? True, I definitely don’t understand, life’s pretty rosy for me. So what’s worse, fanning the flames or trying to show there’s hope at the end of the tunnel??? There’s a difference between plan and outline. “The External borrowing will be directed at the following sectors: Agriculture, Power (esp. Transmission) Mining Development, and Healthcare,” I don’t even think that one will pass for an outline. But that is not to say that they don’t have a plan. Are they going to give out more loans to farmers? Are they going to build more power plants? Are they going to build more clinics in rural areas? Some of these details might even help them attract investors. This government is a fraud, I just can’t understand this sort of leadership. 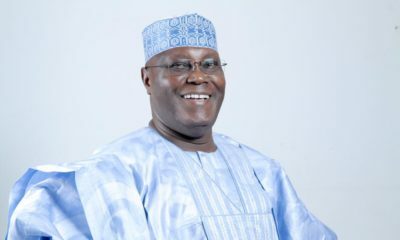 All this administration has been able to achieve since it came to power is to further devide Nigerians along religious, regional and ethnic lines and to promote widespread hunger, bloodshed and hopelessness. Pls do not only borrow money, borrow some brains also to help you figure out how to get Nigeria out of this doldrums that you plunged her into. No good can come from borrowing from the World Bank. Since I’ve already dug my hole, might as well double down. Plus you know, places where you can get low interest loans aren’t exactly growing on trees. Suppose we could always print money, something tells me that’s a terrible idea though. @Art , they definitely need to borrow some brain as well because the chances that their present brain can manage the money after borrowing is obviously very low. Nigerians are always complaining. Smh. If they borrow you’ll complain, if they don’t, you’ll complain. If it’s so easy to restructure a country that has been built on corruption and lawlessness, why don’t you campaign for the next election. From the little account I know…. I know that fgn eurobonds will favour other countries than us… as those current rise are more advanced in hedging techniques than we are…. long term loans have high risk, hence, lenders will seek high retuns to compensate for this risk…. Let’s not forget, nigeria is a high risk country and our ability to repay those debts is questionable… further shooting the intrest rates…. 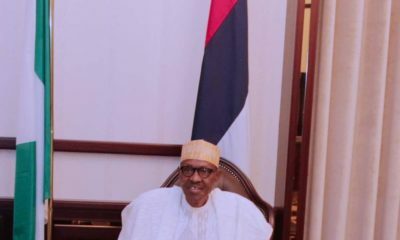 I have not seen the strategies nigeria has put in place to hedge against adverse intrest rate movement or to take advantage of favourable intrest rate movements…. our derivatives market is a caricature something….. hmmm and the most bizarre and…. (words fail me)… what is this borrowing for?!!!!! 20yrs!!! CBN is not the formulator of economic plan and monetary policy is not a national economic plan. It is not just a rhetorical broad statement of “stimulating economy but spending on infrastructure”. It is beyond all these. An economic plan is based on a grand vision of socio-economic development which takes into consideration of present socio-economic realities, identifying both present and potential future economic opportunities. This will determine the industrial direction needed to tap the economic opportunities. Then we face the resources (human, financial, institutional and infrastructure base) required to drive, support and sustain such plan. This will in turn bring about the socio-political orientation and necessary legislations (eg anti-competition). These plans are then broken into logical segments and time frames of implementation. These are what citizens and foreigners can see and follow to decide how and in which economic sector to invest or develop. Our current economic situation calls for a totally new national economic plan in which crude oil is completely discounted to a more robust manufacturing, Agro-allied and knowledge based economy. This may take 2-4 years of hardwork to develop. But if such plan is sincerely pursued on a multi-partisan co-operation it will be well worth the trouble. I expect Buhari to summon a national economic conference to expose our current economic realities of a bankrupt nation and get a national consensus to develop a genuine economic development plan. If a good plan is all he is able to achieve for Nigeria, then the real CHANGE would have started. What Economic Plan or Team are you guys asking for? If you want to know any, Go Back to your Village…Hire a Tractor and Farm! Lets start from there…We need to Feed ourselves!! !